STOP PRESS . . . . 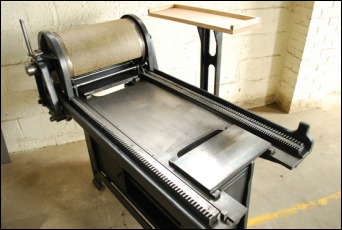 The Corinium is a new A3+ table top press made exclusively by Beyond Letterpress. Order yours now. See our "For Sale" section for details. SEE VIDEO ON OUR INSTAGRAM SITE. YOU CAN NOW RESERVE A PRESS FROM OUR LARGE COLLECTION OF VANDERCOOK, FAG, KORREX, GRAFIX, TRIUMPF, WESTERN, LITTLEJOHN, SOLDAN AND MANY MORE. VISIT OUR STUDIO IN THE COTSWOLDS. All pictures on this site are of presses that have gone through our restoration process. All our sale presses have been fully repaired, restored and are print ready. 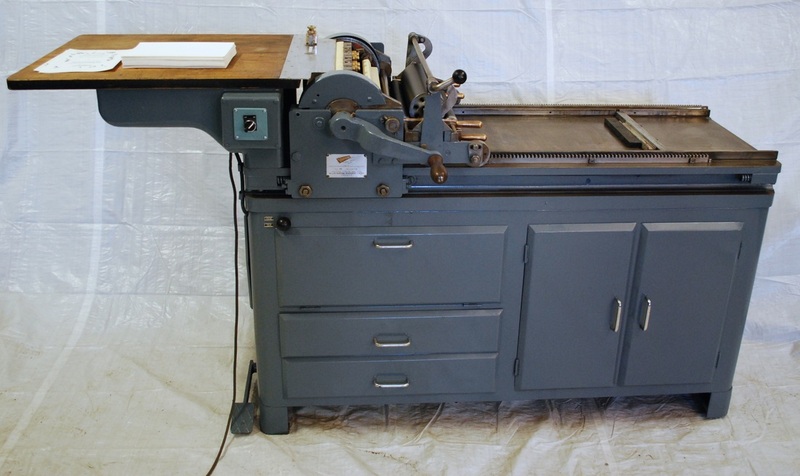 We have fine and rare examples of the best letterpress machines available. We also have cases of lead type, wood type, poster type, quoins, compositing sticks and furniture. See all sale items here. We do TIG welding, repairs to broken castings, recasting of missing parts and engineering. We also recover rollers and manufacture roller stock as well as pinions, cog wheels and trucks. Contact us to get a quote. We are experienced machine movers. We have specialist lifting equipment and trailers for mainland UK deliveries. We will work out the logistics of getting a press where you want it to be; safely and efficiently and we can ship presses to anywhere in the world. If it is a press purchased from us, we always offer a demonstration to show all the working features.